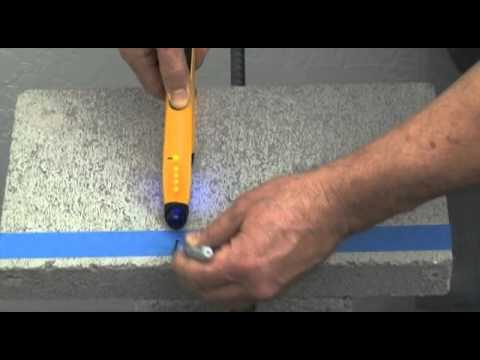 MetalliScanner® m40 quickly and easily detects metal in wood, drywall, paneling, tile, stucco, plaster, concrete, and other non-metallic surfaces. It locates ferrous (magnetic) metal up to 4 inches (10 cm) deep and non-ferrous (non-magnetic) metal up to 2 inches (5 cm) deep. The m40 solves the problem of finding studs in lath and plaster walls, that do not contain metal mesh, by finding the pattern of nails that attach the wood lath to the studs. 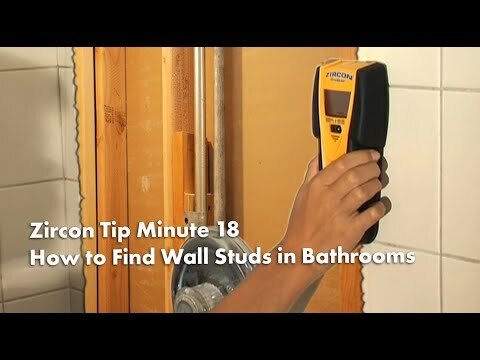 MetalliScanner® m40 finds plumbing, ductwork, rebar, nails, and screws in your walls, floors, and ceilings, and is great for scanning reclaimed lumber for hidden metal. The m40 features two scanning positions, each with a progressive LED display. As it approaches a metal object, the red LEDs progressively light from the bottom up. The top lighted blue coil and an audio tone indicate when a metal target is located.